Despite the disadvantages it has, the DreamDNA Queen 2” thick mattress topper is a good choice for you to have since the advantages far outweigh the disadvantages. Make sure that you pick the original one and not some imitation products. Another product that can provide you with the best sleep quality is the DreamDNA Queen 2” Thick Mattress Topper. This is one of those mattress toppers that can enhance the quality of sleep a person has. It stands out among the rest though considering that its gel infused technology gives more comfortable sleep to the user compared to any other mattress topper. It is highly recommended to purchase the said mattress topper and here are the most common reasons why. 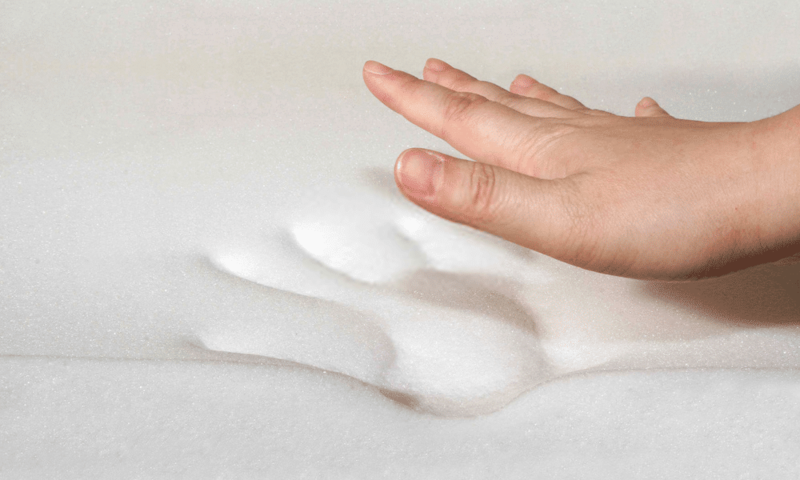 This mattress topper from DreamDNA offers medium support to the user’s body. Despite that, it is still good enough at relieving the body’s pressure point. It is very effective in alleviating moderate neck and back pains. A lot of people are complaining about their mattress topper due to the fact that they feel hot in the middle of the night, disturbing them from their sleep. With the DreamDNA mattress topper, it is already gel infused right from its production. There are numerous reasons why it is already infused right from the start but the main reason is to solve the heat retention complaints people have with other mattress toppers. Memory foams are known for absorbing body heat and then mould it to the user’s body contours. However, normal memory foams cannot dissipate body heat all that well. It is all due to the lack of air flow. By adding gel into the memory foam, the lack of air flow can be resolved. The gel is perfect for transferring heat. Once it absorbs the heat from the body, the gel will then release it to the surroundings. With the DreamDNA mattress topper that has been infused with gel, you will not feel too hot when sleeping then. The DreamDNA mattress topper is known for being comfortable and soft. Anyone who has average built can definitely enjoy sleeping on the said mattress topper. It can offer quite a satisfactory level of comfort and body support. Even if you bring the mattress topper with you in your RV while you are camping, you can still use it to get high quality sleep at night. The DreamDNA mattress topper has a three year manufacturer warranty. This just goes to show how confident DreamDNA is on their mattress topper. The warranty will be useful for you when you get the said mattress topper for your own use. This made-in-the-USA mattress topper has a PURGreen certification. With the PURGreen certification, you can be assured that it is free from harmful chemicals. The mattress topper is resistant to dust mites and allergens too. Thus, anyone who has an asthma or allergy can still use this mattress topper to sleep well at night. Size, Weight, and Shape: Even if you are physically unfit, you should have no problems unwrapping this mattress topper as it is extremely lightweight. It is also very portable and expands to its right size requirement without waiting for a long time. Price: This mattress topper is very efficient and cost effective. You do not have to spend a thousand dollars just to get your hands on this comfortable memory foam mattress topper. Medical Benefits: There are many scientific researches that have proven the medical benefits of a memory foam. Included in the medical benefits this memory foam mattress topper can give include alleviating the body from back and joint pains. You can rest peacefully at night, especially when you have physical ailments. Bad Odor: Just like any other memory foam mattress topper, the DreamDNA 2” Queen Thick mattress topper will smell bad during the first days of use. You just have to endure it for several days. After a few days of using the foam mattress topper, the smell will dissipate and you can now comfortably sleep on it. Difficult to Clean: The mattress pad as well as the bedding might be a bit difficult to clean for some people. Even when they are shielded, they can still get really dirty. The after-care of this mattress topper can be really tough. No Cover: Unlike most mattress topper, the DreamDNA does not come with a cover. That means that you will have to buy your own. You have to choose the one that fits the dimensions of the DreamDNA mattress topper. There are many advantages and disadvantages that come with getting a mattress topper. Despite the disadvantages it has, the DreamDNA Queen 2” thick mattress topper is a good choice for you to have since the advantages far outweigh the disadvantages. Make sure that you pick the original one and not some imitation products. You should be able to enjoy the benefits that the DreamDNA mattress topper can offer if you are meticulous with your choice. You can then get a good night’s sleep, which is definitely a necessity for the body, once you start sleeping on top of this particular mattress topper.